Prior to joining the faculty of University of Colorado Law School, Charles Wilkinson practiced law with private firms in Phoenix and San Francisco and then with the Native American Rights Fund. 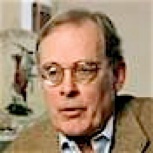 In 1975, he became a law professor, teaching at the law schools of the University of Oregon, Michigan and Minnesota before moving to Colorado in 1987. His primary specialties are federal public land law and Indian law. In addition to his many articles in law reviews, popular journals, and newspapers, his thirteen books include the standard law texts on public land law and on Indian law. He also served as managing editor of Felix S. Cohen’s Handbook of Federal Indian Law, the leading treatise on Indian law. The books he has written in recent years, such as 1992’s The Eagle Bird, are aimed for a general audience, and they discuss society, history, and land in the American West. He won the Colorado Book Award for Messages From Frank’s Landing, a profile of Billy Frank, Jr. of the Nisqually Tribe of western Washington. In his latest book, Blood Struggle: The Rise of Modern Indian Nations, he poses what he calls “the most fundamental question of all: Can the Indian voice endure?” Listen to an interview on Colorado Public Radio conducted by Dan Drayer about Blood Struggle. The National Wildlife Federation presented him with its National Conservation Award, and in its 10-year anniversary issue, Outside Magazine named him one of 15 “People to Watch,” calling him “the West’s leading authority on natural resources law.” He has served on several boards, including The Wilderness Society, Northern Lights Institute, and the Center of the American West at the University of Colorado. Over the years, Professor Wilkinson has taken on many special assignments for the Departments of Interior, Agriculture, and Justice. He was a member of the tribal team that negotiated the 1997 Joint Secretarial Order of the Interior and Commerce Departments concerning tribal rights under the Endangered Species Act. He served as special counsel to the Interior Department for the drafting of the Presidential Proclamation, signed by President Clinton in September, 1996, establishing the Grand Staircase-Escalante National Monument in Utah. In December 1997 Agriculture Secretary Glickman appointed him a member of the Committee of Scientists, charged with reviewing the Forest Service planning regulations. Professor Wilkinson acted as facilitator in negotiations between the National Park Service and the Timbisha Shoshone Tribe concerning a tribal land base in Death Valley National Park; in 2000 Congress enacted legislation ratifying the resulting agreement. He is currently serving as facilitator in far-ranging negotiations between the City of Seattle and the Muckleshoot Indian Tribe. 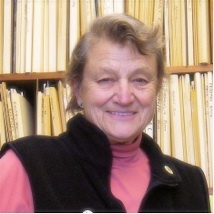 Dr. Estella Leopold, youngest daughter of Aldo Leopold, is Emeritus Professor of Botany and past director of the Quaternary Research Center at the University of Washington. Dr. Leopold was elected to the National Academy of Sciences and American Philosophical Society. Her research interests and publications focus on paleobotany, forest history, restoration ecology, and environmental quality. She studies fossil pollen and seeds to reconstruct ancient vegetation and climate in Alaska, China, and the western U.S. Her conservation activites focus on forest management issues. Dr. Fran Wood is an Emeritus Associate Professor of Medicine (Endocrinology) at the University of Washington School of Medicine. He grew up in Philadelphia, Pennsylvania, and fly fished with his parents in the Pocono Mountains. He was a camping and fishing counselor for seven summers at Camp Allagosh on Moosehead Lake in central Maine. In medical school in Boston (Harvard) he added birding to his spare time agenda. In 1954 he spent two years in Seattle, returning in 1960 where he has lived since. He has been a member of the Washington Fly Fishing Club since 1955 and, recently, has been running birding trips as a volunteer for the Seattle Audubon Society. 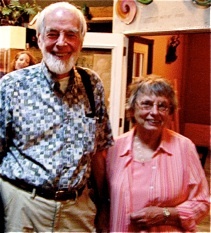 He served on the CELP Board of Directors for many years, and remains an avid CELP supporter. John Osborn M.D. is a physician at the Veterans Hospital in Spokane, Washington, where he has cared for military veterans since 1986. John was raised in Bellingham, WA, and Boise, ID. His mother, Idaho’s first nurse practitioner, introduved him to medicine. John’s father (and fishing partner), introduced him to Puget Sound and the rivers of Idaho. 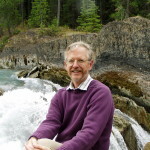 John founded the Spokane-based Lands council, and co-founded the Regional Ethics Network of Eastern Washington (RENEW). He served for 15 years on the boards of the Washington Wilderness Coalition, Idaho Conservation League, Idaho Wildlife Federation, and for 22 years as the Sierra Club’s conservation chair for eastern Washington and Idaho. John has served on the CELP Board since 2007.